Church Women United believes every child has the right to a quality education. We support innovative learning environments for our children designed to protect human dignity and support their well-being and full development. We work to ensure our children are prepared to compete, produce and thrive in the global economies of the 21st century. Work with students (as tutors and mentors), contribute school supplies, and attend school board meetings. Adopt-a-child, a-teacher or a-student mother. Volunteer at a school library or cafeteria. Host an Education Awareness Day at your church, home or community center. Meet with local legislators to recommend ways to improve local education system’s performance. Write a letter to your Congressional members urging them to ensure all children have equal access to a quality education. Church Women United believes children, our most vulnerable citizens, are entitled to nutritious food choices and food security to ensure a healthy lifestyle, academic achievement, and economic productivity. As women of faith we are called to feed the poor, shelter the homeless and protect our children. Work to eradicate hunger: support your local foodbank or give excess food from your gardens to local soup kitchens and homeless shelters. Fight food waste in your households and support local restaurants that are Food Recovery Certified. Support living wage policy proposals to fight poverty in low income earning families. Experience hunger for yourself or in your household or ask your Congressional member to do so. Participate in an existing Snack Pack/Back Pack Buddies program or start one. Communicate to your Congressional members the importance of protecting existing federal programs that serve children, their families and others living on the margins. 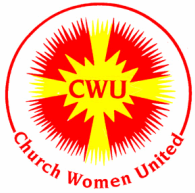 Church Women United women live full lives and fill many roles; including demanding careers. We often take little time for ourselves and virtually give little to no attention to our health. We pledge to be more attentive to our health and support other women in championing their health and well-being. Participate and host programs to inform and educate women on heart health. Know your heart health: eat heart healthy foods and get the recommended amount of sleep. Build fun and relaxation in your day, week and month: minimize stress in your life. Join an exercise group and commit to a regular workout program or form one of your own. Church Women United understands in an increasingly diverse and global world, the gospel of Christ is our example for embracing differences: in wealth, in ethnicity, in culture, and in race. Our ecumenical partnerships, valued faith traditions and Christian perspectives provide valuable resources for addressing the intersections of race, ethnicity and culture. Show warm and gracious hospitality to your neighbor. Support policy positions that advance equality and acceptance of all God’s creation. Seek ways to inform and enhance your own racial understanding and cultural competency. Be open to diverse views and voices in various life settings: church, community and business. Create cultural inclusion opportunities in your units, churches and communities. Visit a museum or participate in an event that represents a culture or ethnicity other than your own.